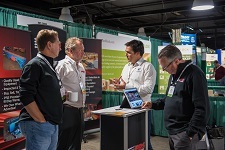 The premier networking and educational event for the wood packaging industry. 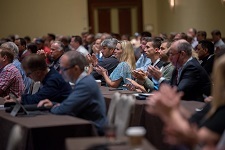 With attendance exceeding 600 participants, the NWPCA ALC is the must-attend meeting for the industry. See who's coming...Click for the full list of attendees and exhibitors. Cancellation Policy: All cancellations must be submitted in writing. If received by January 31, 2019, attendee refund will be issued, minus a $100 administrative fee. A $500 admin fee will be applied to any Exhibitor/Booth cancellation if received by January 31, 2019. No refunds will be issued for cancellation requests received after January 31, 2019; however, substitutions are permitted. Please submit any registration changes to Susan Cheney or phone: 703-519-6104. Thursday, March 14: Keynote address, Gutsy Leaders: Lead, Engage and Drive; other education sessions covering Jobs, Manufacturing & the Economy; Trucking Trends and the Future of Transportation; Innovating is Everyone's Job; Fire Code; and Member Mingles. Evening reception with auction benefiting The Pallet Foundation. There are several sponsorship opportunities available during ALC. Increase your company profile when you become a conference sponsor. Follow this link to view sponsorships. It's never too early to donate! The Pallet Foundation Auction is a highlight of the ALC and is held Thursday evening. Follow this link to donate an item. Follow what industry had to say about the NWPCA Annual Leadership Conference by following #NWPCAalc in your Twitter feed and on other social media channels.